We’ve been using certain products for the last couple of years that allow entire rooms to gather generous amounts of natural light throughout the seasons and when the weather turns favorable, these same systems allow indoor rooms to fully open up to the outdoors. It wouldn’t do these products justice to simply call them windows or glass doors. Rather, these are glass walls capable of opening up, or in some scenarios, nearly disappearing altogether. 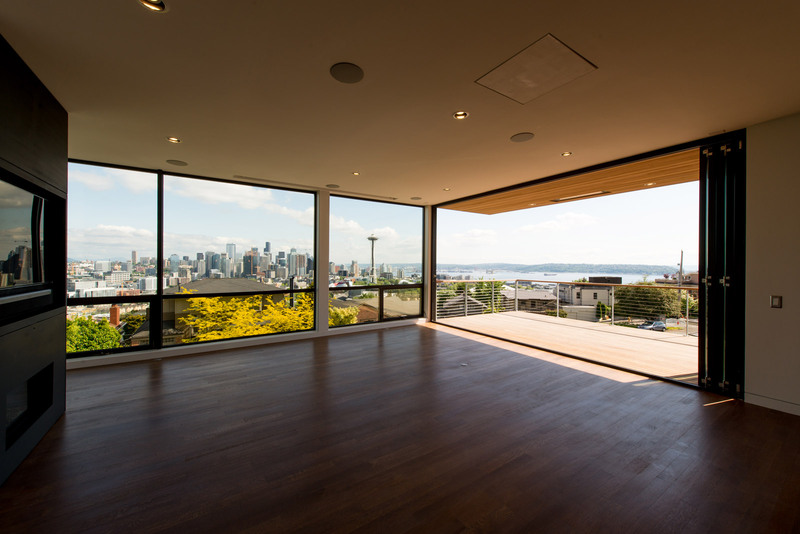 Here in the Pacific Northwest, operable glass walls make a significant lifestyle difference. The low angle of the sun, combined with the short days of winter and fall leaves most of us Seattleites yearning for more natural light. One of the first strategies against this dreary problem is designing floor to ceiling glazing into our projects. This ensures that the interiors are taking advantage of every bit of daylight they can, and reducing reliance on lighting. In the summer and spring, the temperate climate and lack of humidity makes walls nearly obsolete (save for keeping the bugs out). 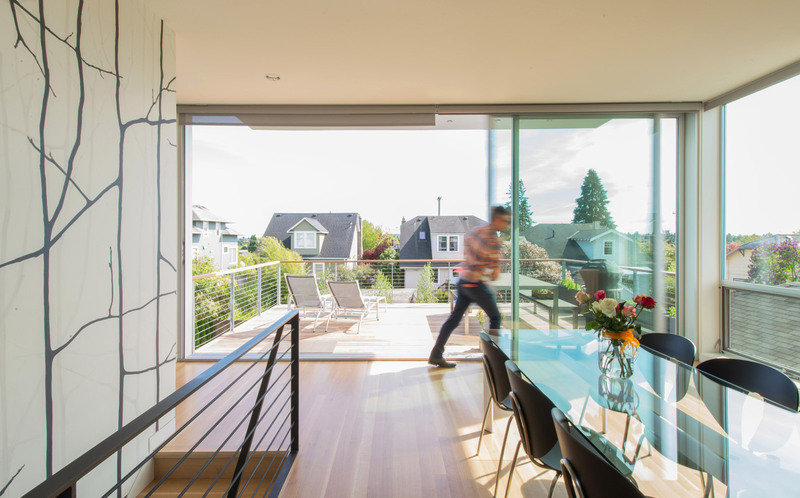 Designing transparent walls that can easily slide open creates a strong relationship between inside and outside, allows for exterior spaces to become outdoor rooms, and provides excellent natural cooling for the interiors. It’s a win-win scenario and today’s post takes a deep dive into these systems along with images from a couple recently completed projects. Before we get to the pretty pictures, we should eat our spinach and cover some of the terminology behind operable glass walls. Architects and builders are, no doubt, familiar with terms like ‘OXO’ and ‘OXXO’ where the ‘O’ indicates a fixed panel and an ‘X’ indicates an operable panel. This nomenclature is handy when dealing with more complicated configurations like the OXO composition below (left) and the XXO composition below (right). 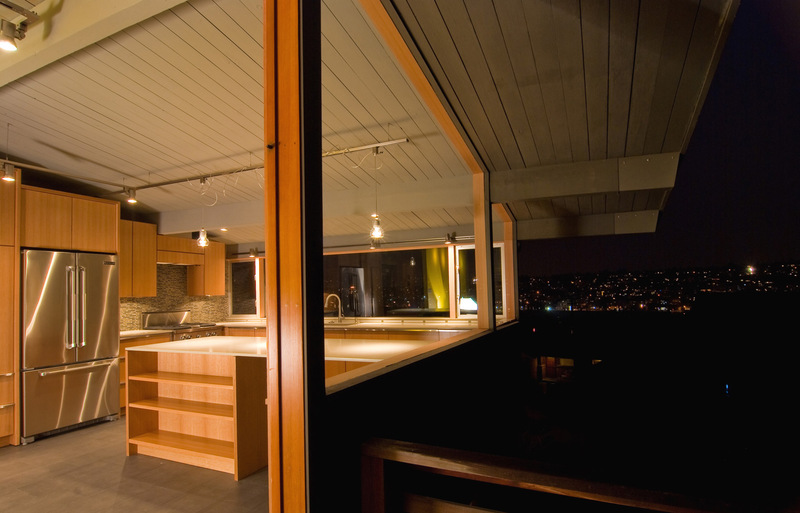 A good example of these sliding glass walls is the Case Study House 2014 (CSH2014). 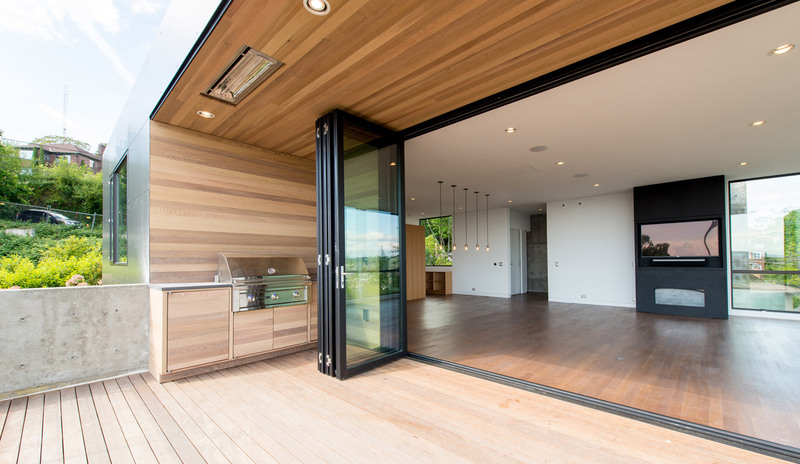 A La Cantina OXX system allows the dining room to open up to an adjacent deck from floor to ceiling. Each of these three panels is 9’-6” tall by 6’-7” wide and while they’re heavy, (it took eight people to lift each panel into place,) they allow for uninterrupted views and optimal natural light. The frames are clear anodized aluminum with double pane Low-E glass panels. 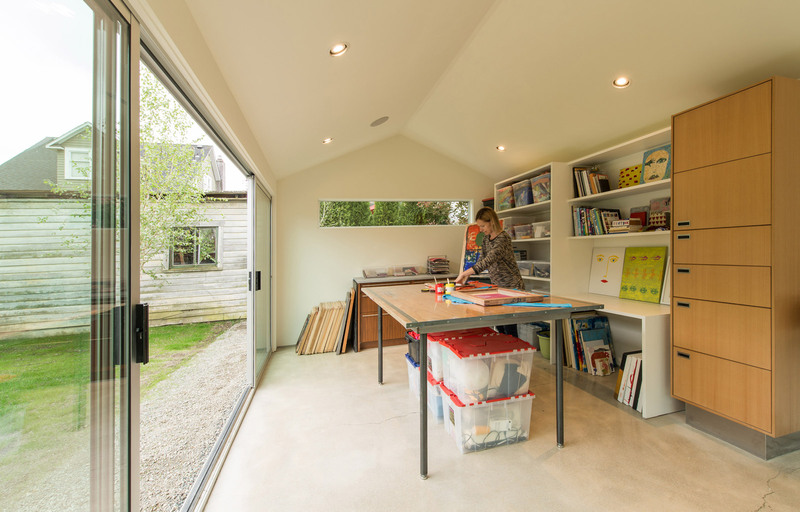 An attenuated matching track runs along the floor and ceiling to secure the operable panels and the door hardware is clean and minimal, blending with the surrounding modern lines. The clear opening of this system is approximately 13’-0”. A bug screen can be added to the interior of this composition with another +/-4″ of depth within the system. 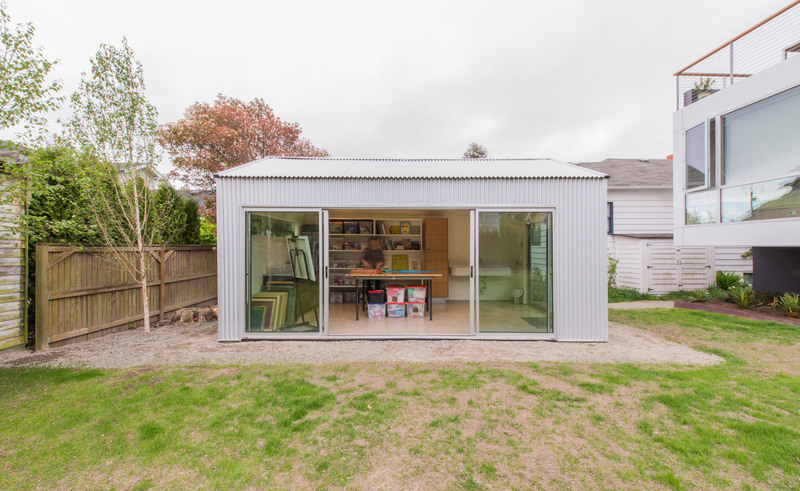 A separate artist studio in back of the CSH2014 opens up to the yard via an OXXO aluminum system from Milgard. These panels are each 3’-4” wide by 6’-7” tall with a clear opening of approximately 6’-8” wide. 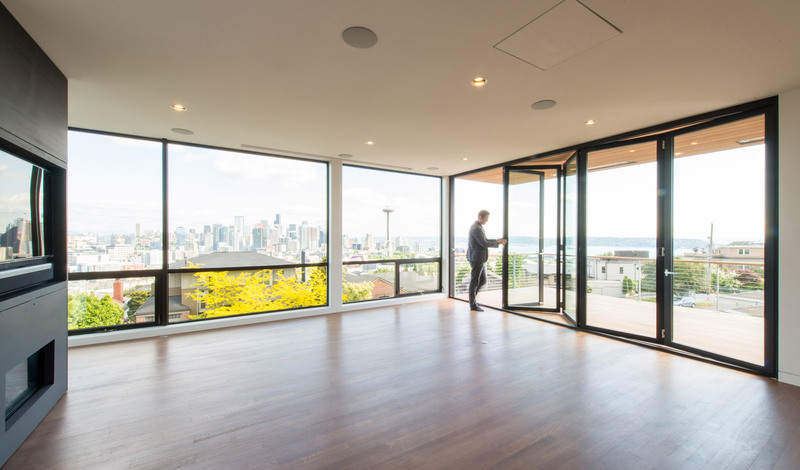 Accordion systems are also an excellent consideration for operable glass walls. The door panels aren’t as wide as the examples covered above, which adds more vertical mullions to the composition, but the tradeoff can be well worth it. Because the door panels fold and slide together, the panels take up less space in their open position, thereby allowing a larger opening as in the Desai Residence below. This application uses a 5-panel bronze anodized aluminum panel accordion system by La Cantina where each panel is approximately 3’-3” wide by 8’-10” tall. The clear opening of this composition is approximately 16’-6” minus about 18” for the doors in their open configuration. Bug screens are possible with the accordion systems, although, depending on the clear opening, the length of bug screen (and depth of mechanics) can get a bit cumbersome. 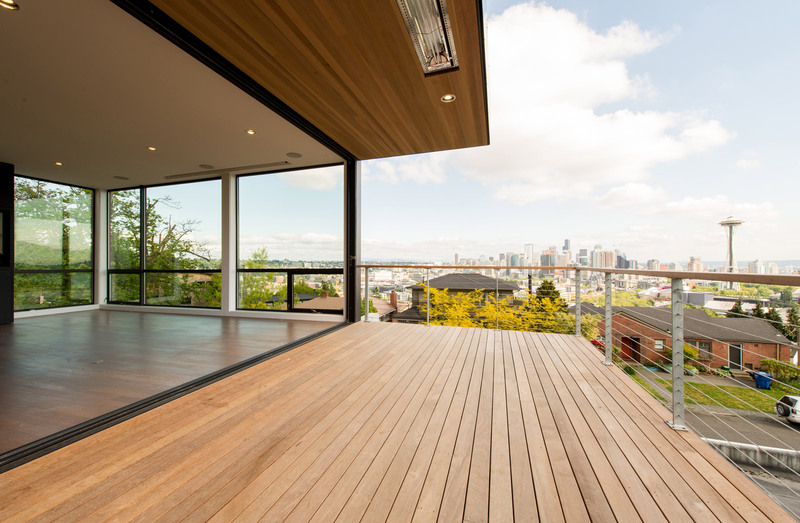 Like the sliders, the accordion system offers a range of permeability. The end panel works just like a single passage door and they entire assembly can be folded up as much or as little as desired. Last but not least, the Raumplus interior system offers big, sliding glass panels that divide spaces up, or in the case below, close off a laundry space adjacent a hallway. 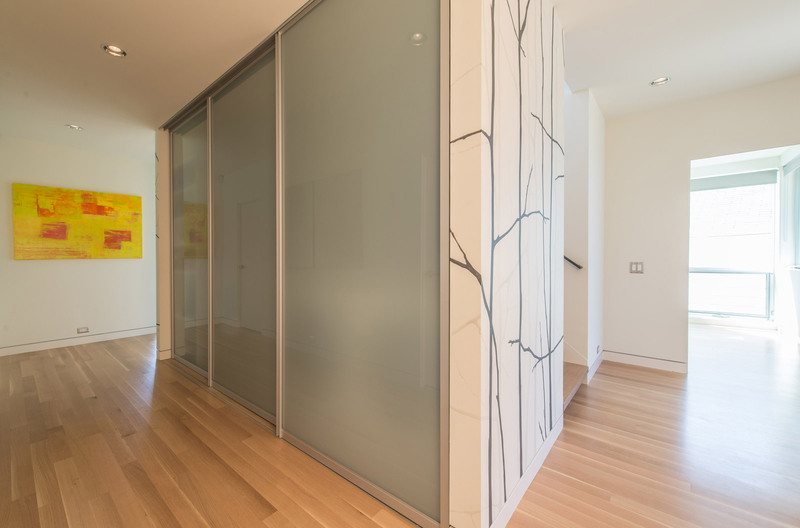 The 3 panels in this composition measure at 4’-0” wide by 8’-0” tall and are specified in the S3000 anodized silver with white diffused laminated glass. 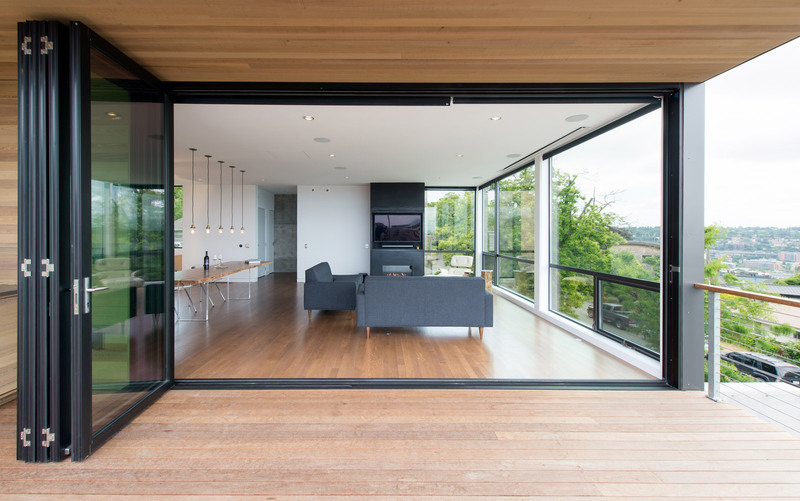 We’re big fans of operable glass walls because of the lifestyle opportunities they offer and you’ll be seeing more of these systems in our current and future work. These systems allow for additional possibilities and applications with each new project so stay tuned for future evolutions. I have been struggling with the glass wall for years. This type of glazing with wind load certifications on masonry buildings are not very common. It’s prohibitively expensive to produce the looks you see above while allowing for real world wind events (hurricanes, tornadoes or Northeasters). I’m guessing any place with wood framing has limited wind load requirements since block is not that much more (for the exterior walls). Thanks for the post – very cool. @ Steve -To your point, the operable glass walls are expensive systems, no doubt. 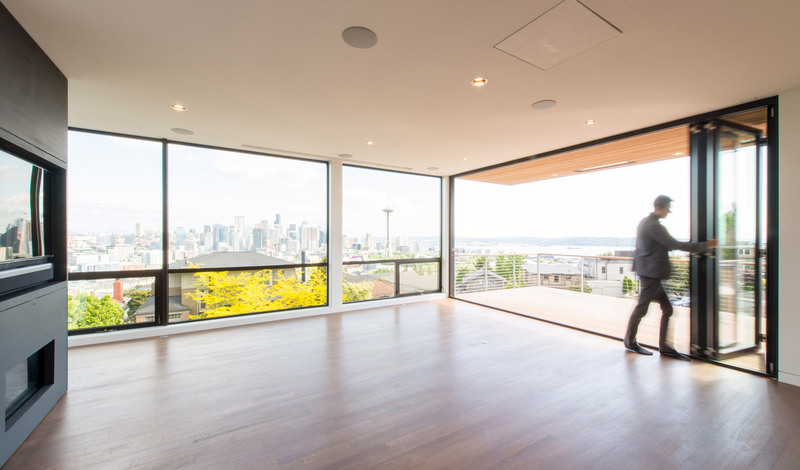 But these are still cost-effective projects relative to the market here in Seattle. The Case Study House 2014 came in at $237 per square foot and the Desai Residence at $255 per square foot. With respect to the cost of operable glass walls, it’s all about discipline. We’re careful to design in specialty items judiciously, while balancing those areas out with simple finishes elsewhere. @ BuildLLC – Thanks much for your data points. La Cantina publishes their budget cost for a 9’W x 7’H three-panel system at $6,000 plus taxes, shipping, delivery, and installation. That’s at least 2x PLUS the structural steel and design to support it. Which matches where I’ve seen these run $30k+. I think most architects are skeptical of manufacturer cost data due to our common experiences where they differ widely from reality. 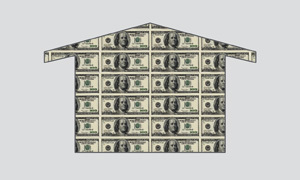 It is difficult to explain to those outside of the industry why area cost factors vary significantly from the impact of just a few important design features. Actual information on specific features is valuable because it is rare. I applaud BuildLLC’s effort to share details and the material realities of architecture. This blog is pretty refreshing in that regard. When architects support their work with accurate data, it sure goes a long way to setting expectations for good design beyond the big box store and home improvement television! 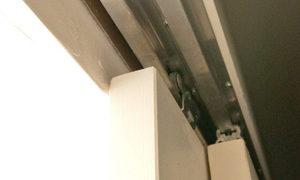 CrownDoor offers an overhead bi-fold which is compelling in some situations. It has a bit of a vision glass garage door look without the clunkyness of a traditional overhead. As always — great post BuildLLC ! 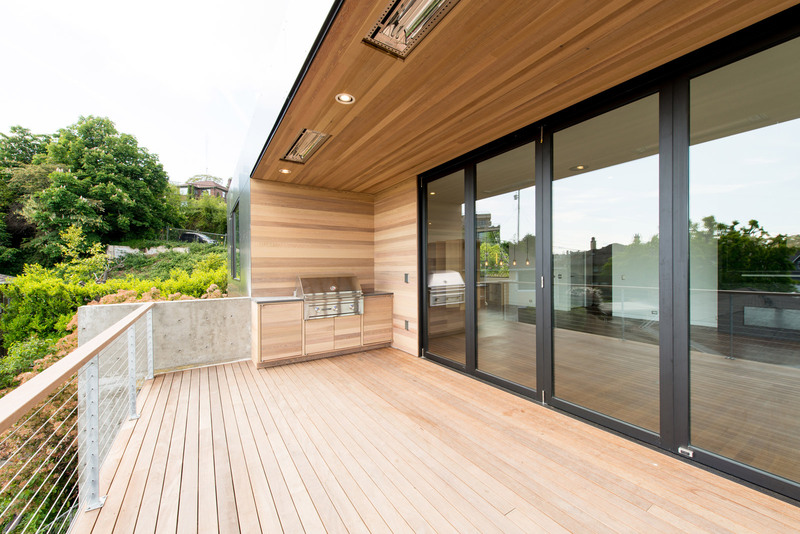 when it comes to folding glass wall systems, aluminum clad wood systems give you the warmth of wood on the interior with low maintenance aluminum on the exterior. 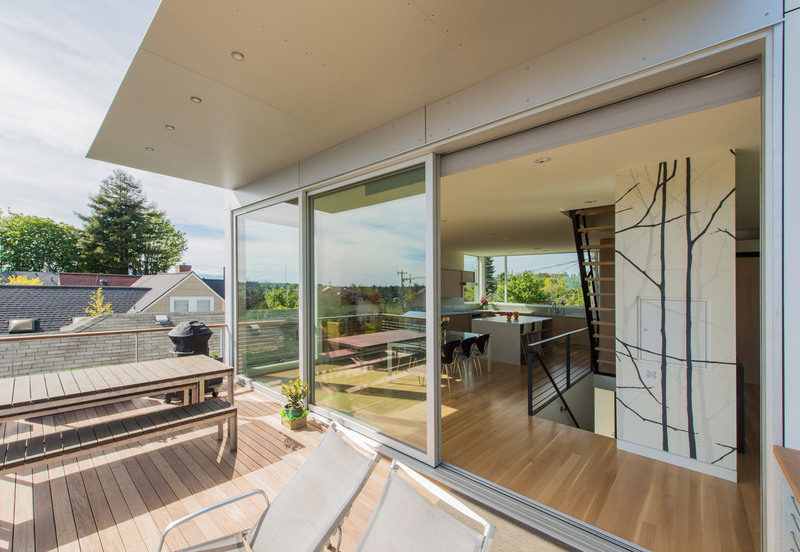 thermally broken aluminum systems provide narrower profiles than you get in wood so you get more glass area and depending on how good the thermal break is, you don’t pay the thermal bridging penalty that you associate with aluminum. wood clad aluminum systems (i believe la cantina calls this their “contemporary clad” product line) give you the narrow profile benefits of aluminum frames and the warmth of wood on the interior; and depending on how good the thermal break is, you can get comparable thermal performance to that of wood framed systems. 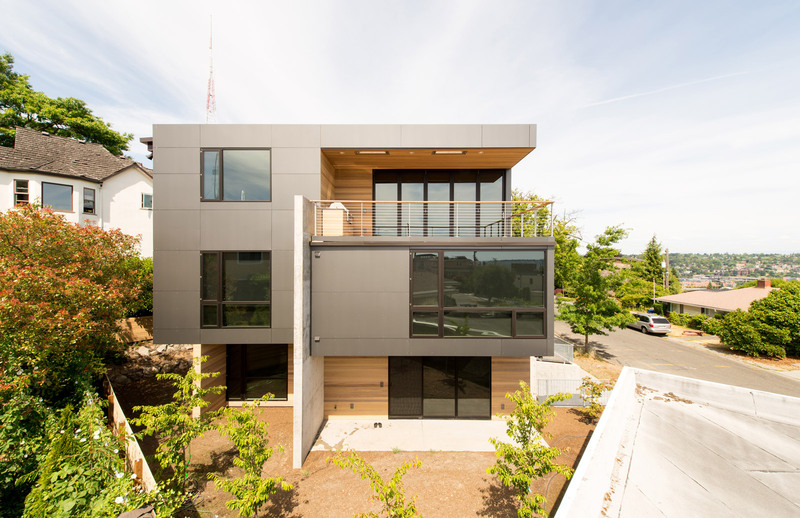 another possible benefit of wood clad aluminum systems is that you might be able to swap out the wood cladding for another species at a later time if decor changes call for a different wood species. 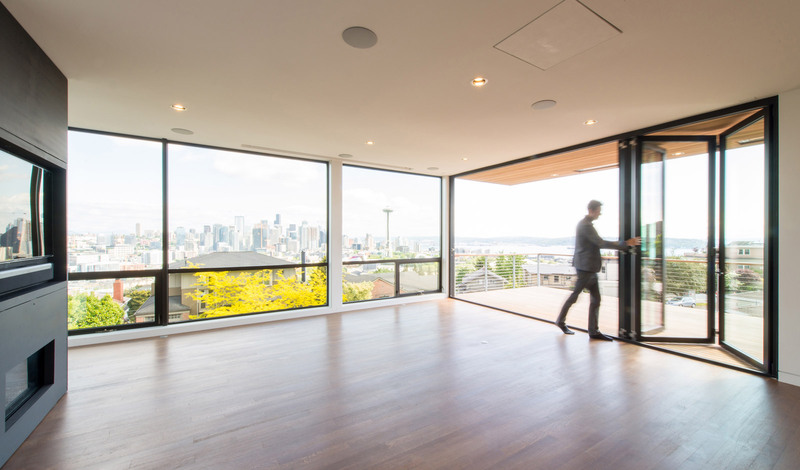 in folding glass wall systems, be mindful of the threshold! flush thresholds might look good, but if you don’t live in arizona they probably aren’t going to give you the results that you want. as to the comment from “steve hall”. $6,000 sounds like a reasonable price for a basic 9′ wide folding glass wall system. but you can end up paying twice that amount depending on the options. as to installation costs, i would think that you could get a 9′ wide system in using wood framing. i’ve got 8′ patio doors that use 2x2x12 wood headers with wood framing. there might be other reasons as to why you would end up having to go with steel framing, though. a couple comments on screens. centor screens makes a system that is much more robust than the system that la cantina promotes. the centor system can span 12′ on a single roll system where 2 rolls can be ganged together for a 24′ span. the centor system is a lot more expensive, though. another possibility is a screen system made by phantom screens. it’s a really slick screen system that has motorized raising and lowering of the screen and supports a continuous mesh up to 25′ wide and 16′ tall. visually, it is the nicest looking wide opening screen system that i have seen. the down side to this system is that it isn’t really practical if you need ingress and egress given that it takes a good 15-20 seconds to wait for the screen to raise or lower. stepping back a bit, another option that i have seen for wide openings is to use a glass garage door. the drawback to this is that you end up with a visible track on the interior side. We have glass walls at my work office, and I love the feel of them so I have been considering putting them in my home for a unique touch. I didn’t realize the the “accordion” style was available, and I think that could be a great solution for us. 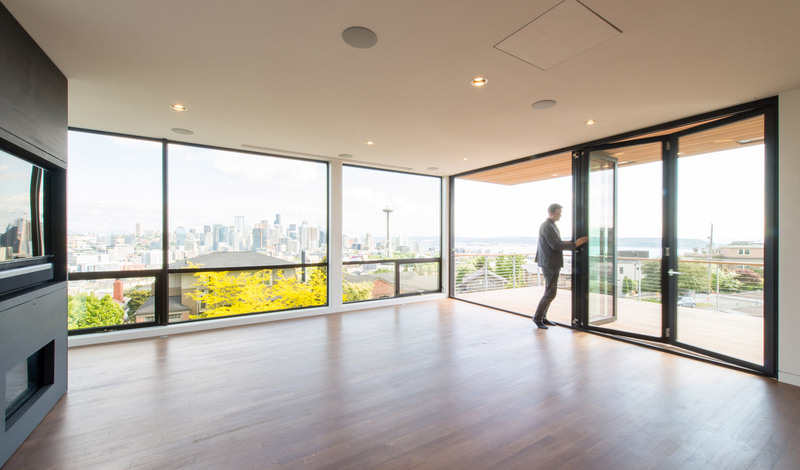 Hopefully other people will be able to see the beauty and benefits of these glass walls, too! Thanks for sharing this with me!